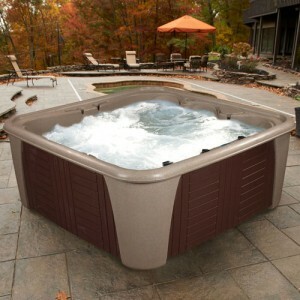 There are several factors that people consider when purchasing a new hot tub. Some would put tub design and size as top priority when looking at models of various brands while others focus their search on styles with the lowest hot tub prices. However, top quality products that possess fabulous designs and have the potential to last a long time do not always come cheap. The real challenge lies on finding a spa that not only satisfies one’s aesthetic requirements but one that fits the budget. And finding the best kind takes careful planning to save oneself from overspending on a luxury brand with the wrong specs, or from wasting cash on a bargain two person hot tub that sadly has second-rate hot tub parts. Read through for some helpful tips on finding the best priced spas in the market. How much are hot tubs? Hot tub prices vary depending on the brand, sizes and features. Expensive does not always translate to the best value for money in the same way that the cheaper, low end versions would easily break down from regular usage. A small, decent portable hot tub may cost as low as $500 while a 6 person hot tub complete with water jets, waterfall and adjustable lighting systems could reach thousands. Deluxe models fitted with hi-tech properties and built from class A materials would naturally cost a lot more than a standard acrylic tub. A custom made spa constructed to match an outdoor deck is for those who are willing to spend on one of kind styles and interior decoration. Accessories like pillows and covers as well as essential parts like replacement filters would take a few hundred dollars more out of your pocket. Various resources are available for those in the quest for the perfect spa at the best hot tubs prices. Some of the most reliable sources of pricing information and discount offers include manufacturers’ websites, online and local dealers, showrooms, customer testimonials, forums, social media and product reviews. A smart shopper would know that utilizing more than one of these channels would yield better results. An internet search alone can pull hundreds of websites that contain suggestions related to the hottest brands, location of the closest hot tub warehouse, DIY repairs and photos that showcase spa layouts from all around the world. Hot tub reviews is a good place to research because these websites publish testimonials from users and in-depth analyses conducted by product experts whose job involves testing various spa products. Key in the right keywords and you will be provided with sites that contain a listing of the top hot tub manufacturers that offer discounts. Online research can also lead one to pages that sell or give away coupons and vouchers for the chance to get huge rebates. Consumer forums is another useful online database to read about relevant topics and discover places that currently promote markdown on hot tubs prices. It makes networking possible for spa enthusiasts and it provides convenient access to an organized hub where users post questions and those with similar concerns respond by publishing their answers. These discussions are helpful in finding information not available elsewhere like details on trusted local dealers of second-hand tubs as well as used hot tub prices. Social media can benefit both shoppers and manufacturers when it comes to buying and selling hot tub spas. Consumers can use it as a tool for sharing photos of their newly purchased cedar hot tub as well as for posting feedback on local warehouses that offer the lowest spa prices. On the other hand, companies and retailers take advantage of this tool by using it as a marketing platform to advertise their latest products, bargains and coupons among others. Online shopping has become the preferred means of acquiring goods by many. Even furnitures, spas and hot tub accessories are available for purchase on the web. Online retailers usually include hot tub price next to other important product information such as product images, specs, shipping details and customer ratings. Discount offers are usually highlighted and items on sale are published in one section which makes it easy for people to find. 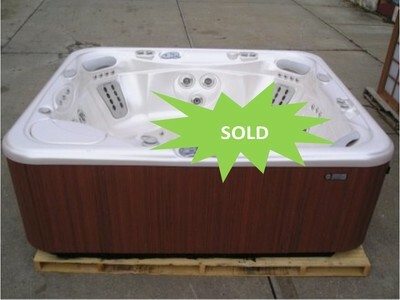 Hot tubs for sale may also be announced through online banner ads and newsletters. Although somewhat old-fashioned, window shopping and visiting stores are still good ways of learning about discounts and promos. Because shops that specialize on spas and hot tub supplies commonly sell a wide selection of brands and models, they are also the ones most likely to hold out sale and offer huge price cuts on old models. These shops are not that hard to find because most of them have websites where contact details like email addresses and phone numbers are publicized. Use these pages as a way to learn about the brands that they carry, store locations and to request for hot tub price quotes. Phone ahead to talk to a staff and ask questions. Close friends, colleagues, family members or anyone within one’s network can provide one of the fastest means of learning about hot tub spa prices. Telling someone about a new shop that sells fabulous private tub layouts, disclosing the name of a favorite store or sharing a story of buying a reasonably priced 4 person hot tub from a nearby furniture shop that no one’s ever heard of could be as quick as a phone call or text message. This entry was posted in hot tub reviews, hot tubs for sale, Portable hot tub and tagged best hot tubs, cheap hot tub, hot tub price, spa. Bookmark the permalink.